Fairview’s players and supporters celebrate after winning the City Challenge Cup following their 2-1 victory over Glen Celtic B at the Cross on Thursday night. Martin Conlon (Cork AUL) presents the man of the match award (Sponsored by Gary McCarthy Trophies) to Fairview’s Tagdh Miller. 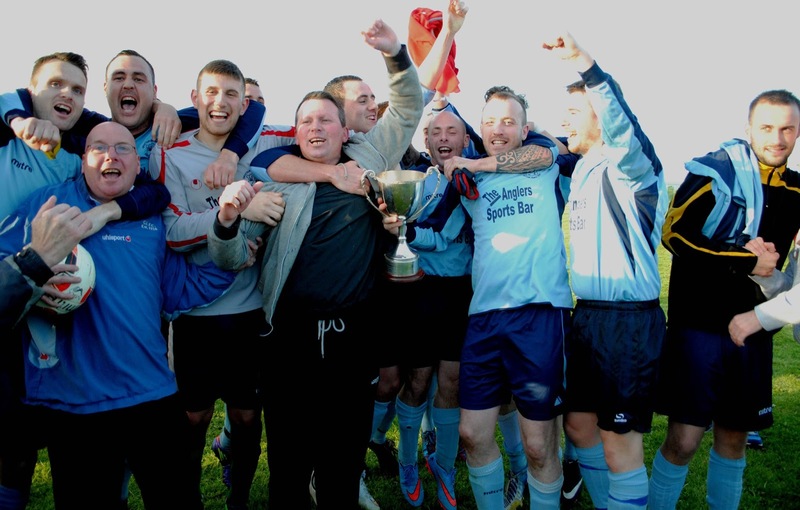 Thursday, 4th June 2015 – K/o 7.30 p.m.
Grattan United players and supporters celebrate after being crowned Premier Champions following their 3-0 victory over Glenthorn Celtic at O’Neill Park on Wednesday night. The Murphy’s Stout Cork AUL Premier League play-off between Grattan United A and Glenthorn Celtic A will take place in O’Neill Park on Wednesday, 3 June 2015 with a 6.45 p.m. kick-off. The officials are Gene Stephens Tony Thompson and Paul O’Sullivan. Applications are invited for the position of Premier Team Manager of Greenwood FC playing in the Cork AUL. 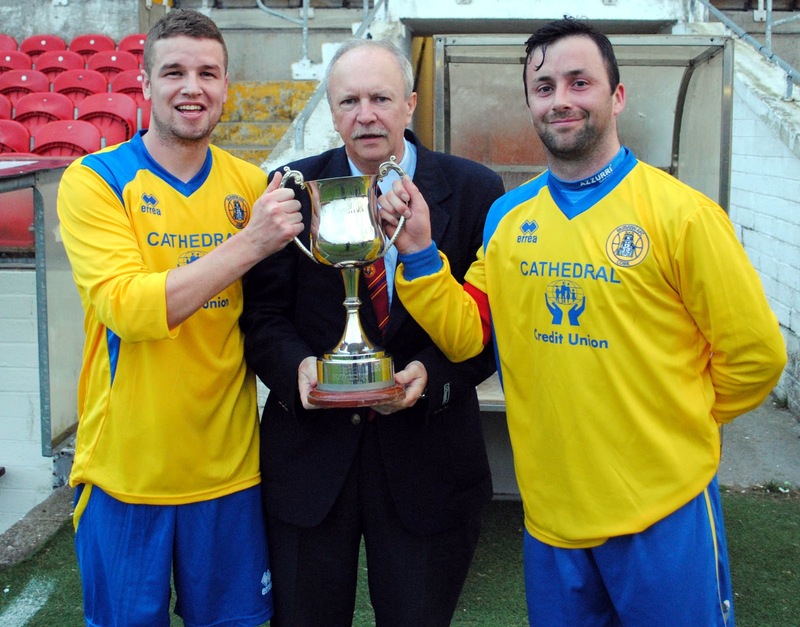 UCC A players celebrated after being presented with the Corinthian’s Cup following their 2-1 defeat of Lakewood at the Cross on Tuesday night. 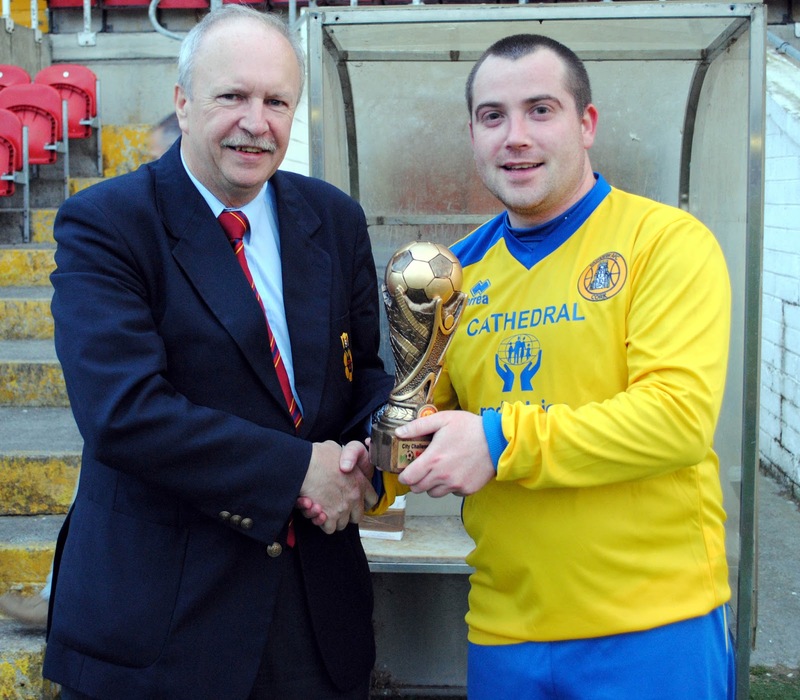 UCC A’s Captain – Conor O’Reilly is presented with the Corinthian’s Cup by Denis Crowley (Cork AUL) following their 2-1 defeat of Lakewood at the Cross on Tuesday night. UCC A’s Jordon Philpott is presented with the man of the match award following his side’s 2-1 defeat of Lakewood in the Corinthian’s Cup at the Cross on Tuesday night. 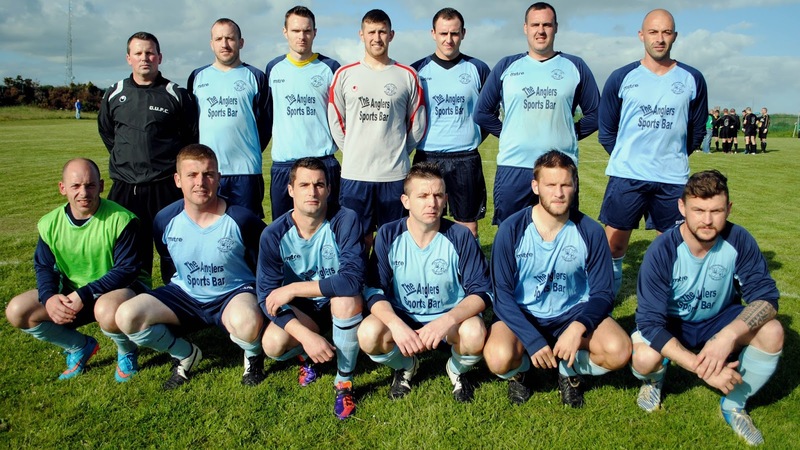 Tuesday, 2nd June K/o 7.30 p.m.
Innishvilla B 2-1 Corkbeg. 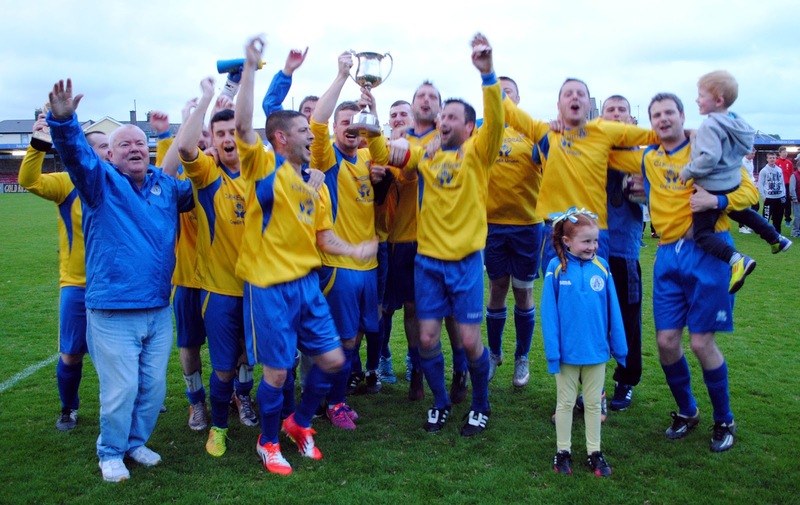 (Innishvilla B are promoted to the second division). Kilreen Celtic 3 Park United A 1. 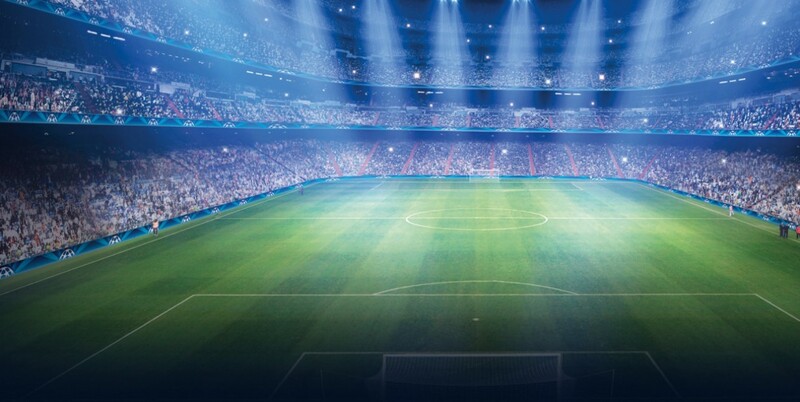 The AUL Premier League play-off between Grattan United A and Glenthorn Celtic A will take place in O’Neill Park on Wednesday, 3 June 2015 at 6.45 p.m.
Linesmen Tony Thompson and Paul O’Sullivan. Macroom B 3 Innishvilla B 3.
are looking for a friendly this coming Thursday evening 28-May Home\Away. Killumney United A 4 Glen Celtic A 0. 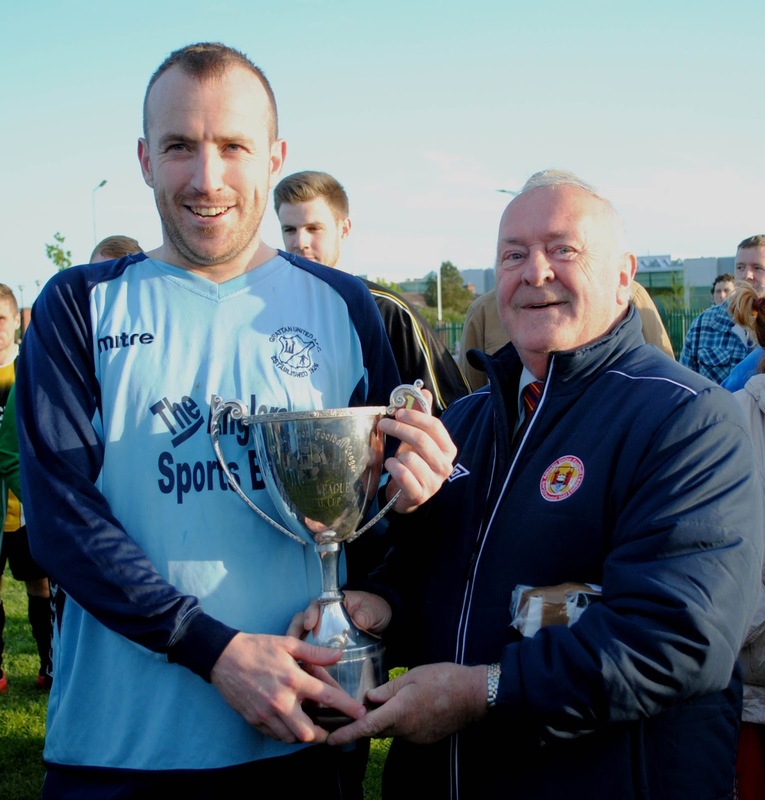 (Glen Celtic A are relegated). Park United A 3 Glenthorn Celtic A 6. Dillon’s Cross Athletic 0 Carrigtwohill United A 3. Rylane Celtic 2 St John Bosco A 0. 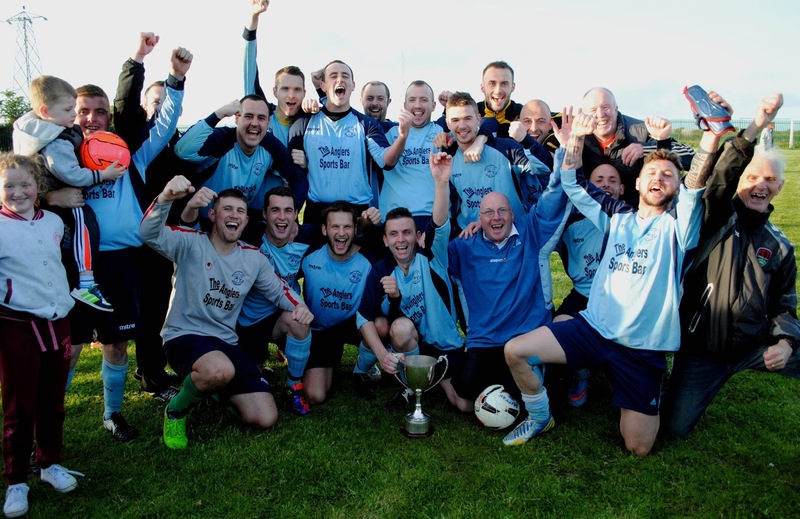 (Rylane Celtic are promoted). Los Zarcos 1 Killumney United B 2. Greenwood A 0 Park United A 4. The large crowd watching the AOH Cup Final between Park United and Carrigtwohill United at the Cross recently. Tuesday, 26th May K/o 7 p.m.
Thursday, 28th May K/o 7 p.m.
Saturday, 30th May K/o 2 p.m.
Thursday, 4th June K/o 7.30 p.m.
Greenwood A 0 Kilreen Celtic 7. Innishvilla A 1 Village United 4. Carrigtwohill United A 1 Park United A 6. Fairview 1 Lakewood Athletic 1 (Fairview won 4-3 on pens aet). Glenthorn Celtic A 5 Pearse Celtic A 4. Innishvilla A 1 Springfield 3. Kanturk 5 Rylane Celtic 0 (Kanturk are champions). Ballinhassig 1 Newmarket Town 4. Temple United 5 St John Bosco B 1.